Q. 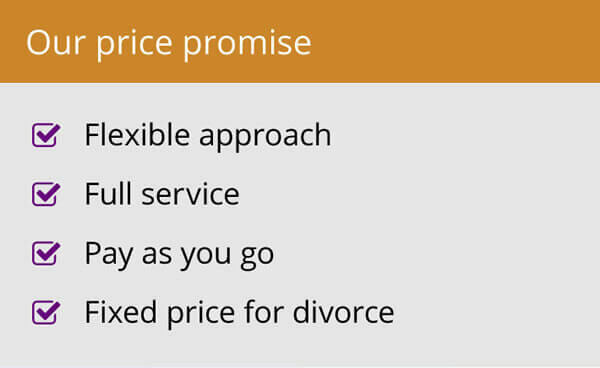 How much does a divorce cost? A. This will depend whether you start the divorce or are responding to divorce papers. 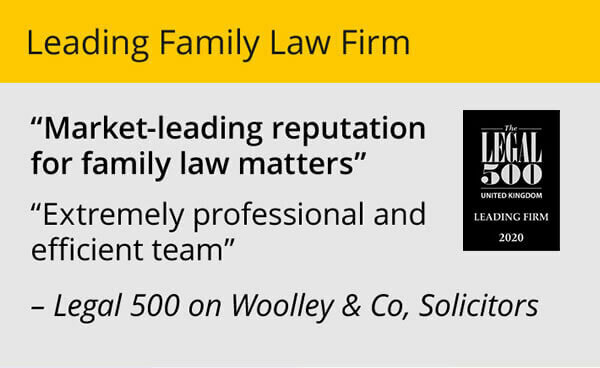 At Woolley & Co we charge £725 plus VAT and court fees if you start the divorce and £500 plus VAT if you are responding to a divorce. These figures assume that you both agree to divorce and that there are no disputes about the division of your finances or care for your children. Additional charges may apply if you need help to reach agreement in these things. Take advantage of our 30 minute telephone appointment to discuss your situation. Call 0800 321 3832 or request a call today. Q. Can we separate formally without getting a divorce? A. Yes. If you have decided to separate, but do not want to consider a divorce for the time being, a separation agreement is strongly recommended. Such an agreement sets out what you both agree should happen to the matrimonial home, and all the other assets such as savings and investments, endowment policies and pension funds. This means that there are no ‘loose ends’ which can cause problems later. Also, maintenance for children can be agreed in such a document. The courts can enforce all aspects of a separation agreement if necessary. Q. Can I get divorced? A. If you have been married for more than 12 months and can demonstrate grounds for divorce you can start a divorce in the UK. Q. What if I don’t agree to the divorce? A. You can object to the grounds on which a divorce is being sought. 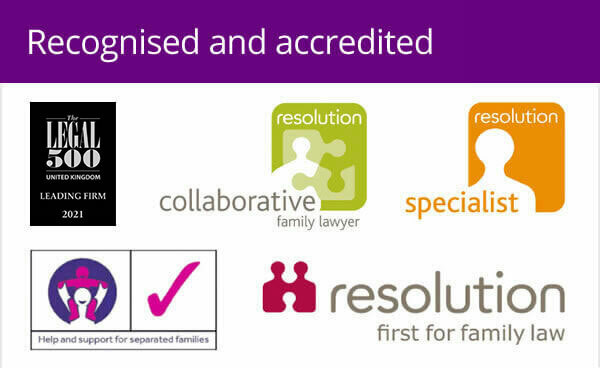 This is known as contesting a divorce and is explained in our Contested divorce explained blog post. Q. 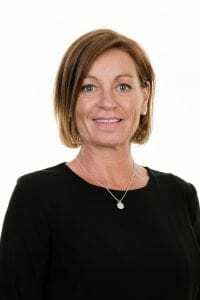 What is ‘unreasonable behaviour’ in divorce? A. Unreasonable behaviour is the most common of the facts used for demonstrating a marriage has irretrievably broken down. It involves giving examples of behaviours that demonstrate the relationship has broken down and you are no longer able to live together. Reasons can be as mild as refusing to spend time together or having no common interests. Q. Does it matter what grounds are used for divorce? A. Not really, although some of the grounds for divorce do rely on a period of separation (see Grounds for divorce). Some people think that if adultery is used as the reason for divorce this somehow influences things like where the children will live or how assets are divided. This is rarely the case.